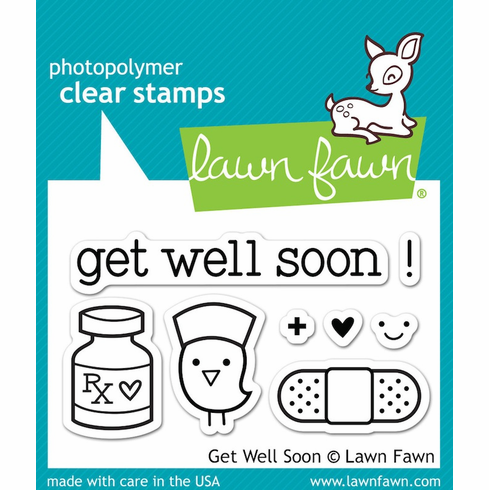 This mini collection of eight clear stamps has everything you need to make a cute get well soon card. The set features a "love" prescription, a nurse bird, bandage, and "get well soon" sentiment. This stamp set coordinates perfectly with Get Well Soon Lawn Cuts custom craft dies.